Patricia Engel's collection of stories, Vida, quickly established her as one of our country's best young writers, winning praise from Junot D az, Uzodinma Iweala, Francisco Goldman, and others. 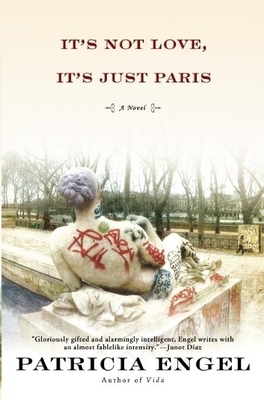 Her first novel is a vibrant and wistful narrative about an American girl abroad in Paris, who navigates the intoxicating and treacherous complexities of independence, friendship, and romance. Lita del Cielo, the daughter of two Colombian orphans who arrived in America with nothing and made a fortune with their Latin food empire, has been granted one year to pursue her studies in Paris before returning to work in the family business. She moves into a gently crumbling Left Bank mansion known as "The House of Stars," where a spirited but bedridden Countess S raphine rents out rooms to young women visiting Paris to work, study, and, unofficially, to find love. Cautious and guarded, Lita keeps a cool distance from the other girls, who seem at once boldly adult and impulsively na ve, who both intimidate and fascinate her. Then Lita meets Cato, and the contours of her world shift. Charming, enigmatic, and weak with illness, Cato is the son of a notorious right-wing politician. As Cato and Lita retreat to their own world, they soon find it difficult to keep the outside world from closing in on theirs. Ultimately Lita must decide whether to stay in France with Cato or return home to fulfill her immigrant family's dreams for her future. It's Not Love, It's Just Paris is a spellbinding love story, a portrait of a Paris caught between old world grandeur and the international greenblood elite, and an exploration of one woman's journey to distinguish honesty from artifice and lay claim to her own life.